WB has just announced a new free-to-play browser based real time strategy game set within Gotham City called “The Fire Rises.” Wikia.com had the details and as you can see, it sounds like it could be a lot of fun. Setting the stage for the much anticipated The Dark Knight Rises, Warner Brothers is drumming up excitement with this game tie-in that lets players rob Gotham City blind during Bane’s powerful uprising. The Fire Rises casts players as henchmen, out to get their own piece of Gotham’s pie. With lackeys of their own, players secure territory, spawn various crew members to take out a relentless stream of deadly security officers, and loot valuable gear from nearby buildings, all before Gotham PD shows up in full force and puts an end to your crime spree. WB takes a surprisingly core-gamer approach to the browser game. Maximizing your looting sprees takes not just a good strategy, but a quick mind. Various crew members, from loot-happy Thugs to demolition-packing Saboteurs, offer different benefits and drawbacks. 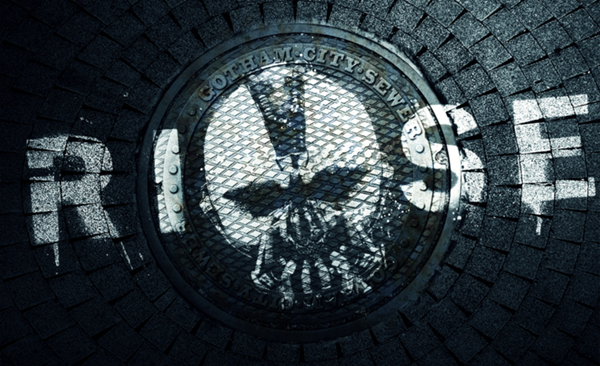 To pull off big heists, you will have to mix-and-match your squads, spawn them from sewer covers quickly and efficiently, and arrange them around the battlefield in just the right way to buy your looters valuable time. Steal enough goods and you will unlock more crew members, including Catwoman herself. Your success also grows your criminal headquarters located under Gotham. You’ll be able to compete with your friends via Facebook to see who has more influence over the beautifully rendered city.You’ll also be able to see your friends’ headquarters and flaunt your looting prowess. The game currently features three levels, with more to come when The Dark Knight Rises hits theaters July 20th. The free game is set to be released June 19th.